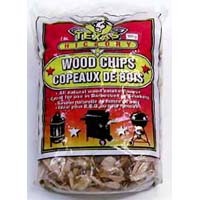 Texas Hickory Flavor Wood Chips. 1.12 LB (800g). Full color poly bag.